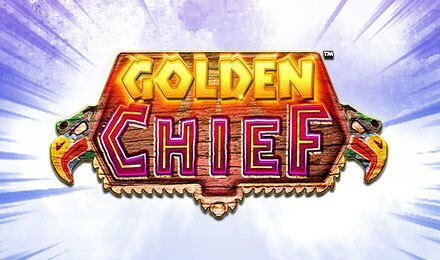 Soar through the skies to meet the Chief of Golden Chief Slot by Scientific Games. The chief of this Native American tribe could prove to be one of the most rewarding symbols of this slot game. But along with that, you could benefit from more than four features to boost your bankroll. On this perfectly themed slot game, find amazing symbols like: Squaws, Bears, Totems Poles, J, K, A, Q and 10. The reels have been beautifully designed with traditional markings where sun rays hug the 5 reels and 10-100 payline slot grid from all around. Golden Chief Slot allows you to set off on a native journey, but first of all, you have to place your stake. Also, use the Autoplay feature to spin the reels handsfree. Bet Levels: There are no bet levels on this slot. Amount of Lines Selection: Numbers of paylines depend on the circumstances of the game. As you trigger features, they gradually increase! Coin Values: Set your bet from the lowest amount of £0.10 to the highest value of £500.00. The Wild symbol is the “WILD” multi-coloured symbol that replaces all symbols except for the Golden Bonus symbol to complete winning combinations. The Expanding Wild is the Chief, which covers all positions on the reels and increases the number of paylines depending on your bet. Cash Canyon- Spin the wheels to move along the trail to collect cash prizes. This round ends when you reach the end of the trail or hit the “Stop” button. Totem Riches- Pick on totem poles to find multiplier values as you climb the ladder. Keep climbing until you reach the top or click on “Collect” to end the feature. Free Spins- Five free spins are awarded in the beginning of the feature, but you can toggle this for a max amount of 30 free spins by gambling them. When the Chief symbol has expanded on the reels and the payline numbers increased, other symbols will upgrade to become expanding as well. This feature awards five linked spins on different bet levels. You can choose from between Big Bet £20.00, Big Bet £30.00 and Big Bet £50.00. On each of the bet, you get to benefit from various perks.